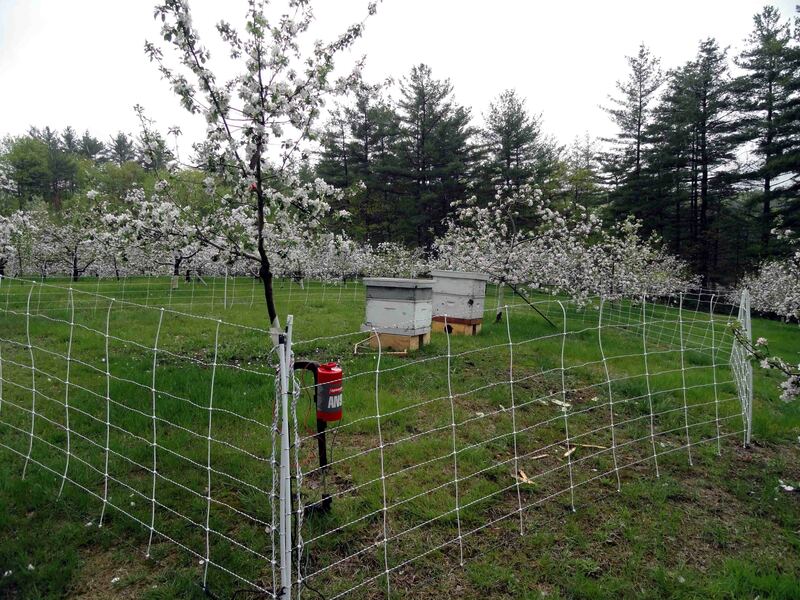 Electronet barrier fencing can protect beehives from bears and skunks. Fencing has been effective in excluding bears from food sources, but it can be expensive. Electric fences are best because bears are good climbers. An electric poly tape fence is an economical alternative if you are trying to protect an individual tree or small area and do not want a permanent fixture. A woven wire fence is a bigger investment, but a more permanent structure. You can energize the fence using a 110-volt outlet or a 12-volt deep cell (marine) battery connected to a high-output fence charger. The fence must deliver a sufficient shock to be effective. Bears can often be enticed to lick or sniff the wire and get shocked by attaching attractants (e.g., peanut butter, aluminum foil strips, etc.) to the fencing. Fence voltage should be a minimum of 3,000 volts. Recharge batteries during the day so the fence is energized at night when bears are most active. Place signage to warn people about the electric fence.